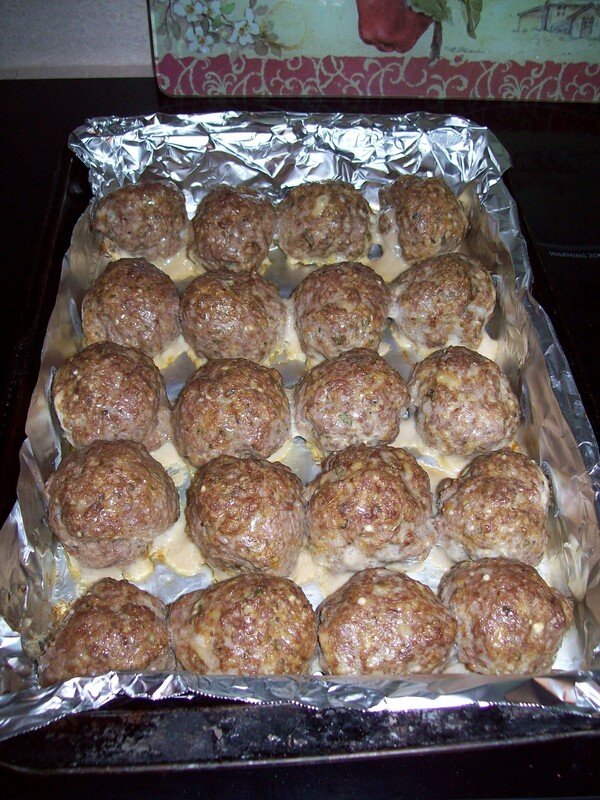 What was a Sunday dinner at Rose’s without meatballs? This is a dish that a pinch of and a handful of that really comes to play. 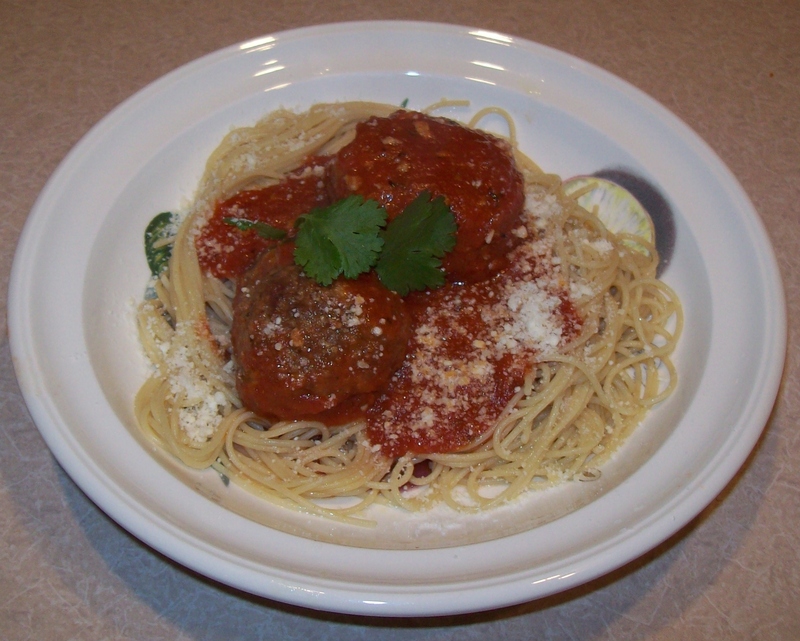 A dish that my side of the family would kill for, a plate of pasta topped with some of Rose’s meatballs. Lyn and I used to sneak these into Dad when he was in the hospital. Well this was my first try and Lyn says I did ok. You really have to make these every week so you get it down. But then I would be 900 lbs. Quick easy but soooooo good. I must first say we will probably never be able to master what she did but practice is a lot of fun. 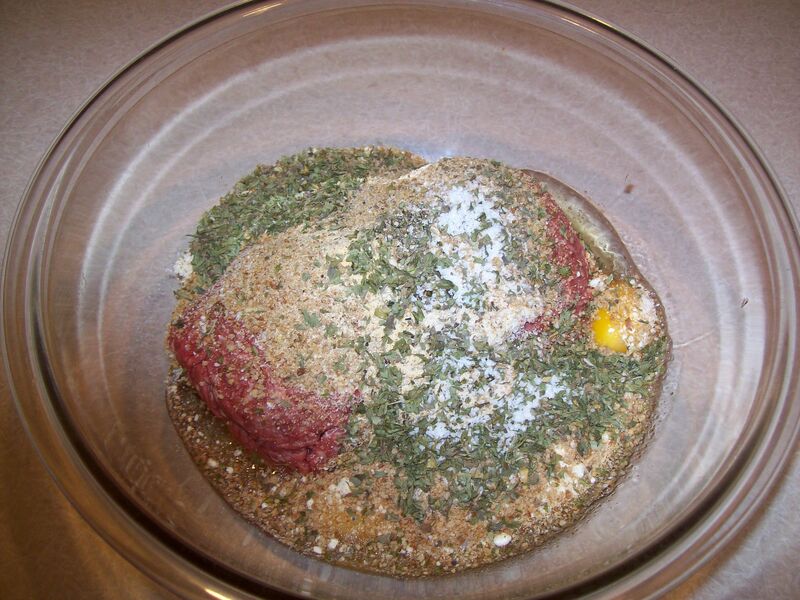 Mix all ingredients together thoroughly. Using a medium ice cream scoop, scoop out and shape into 2” balls. 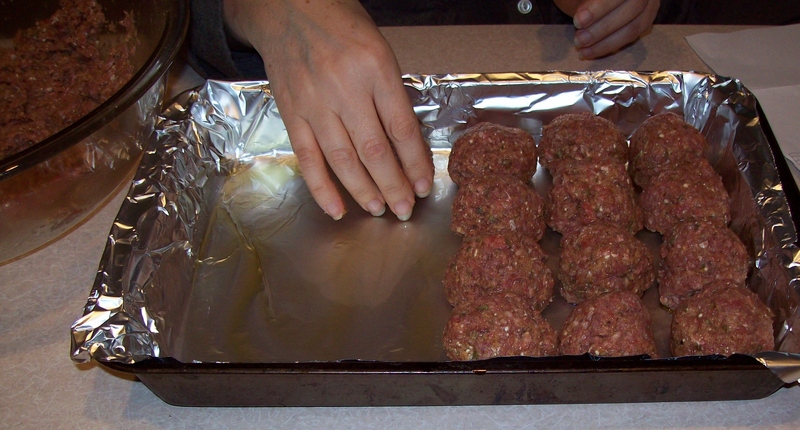 (Approximately) and line the pan with meatballs leaving a little space between each. Bake for about 20-30 minutes, checking after 30 minutes. The will be firm but not too firm. You can place sauce until ready to serve. Note: for Xmas I put in sauce and let them simmer with the sauce they came out very moist and as Lyn said melted in your mouth. 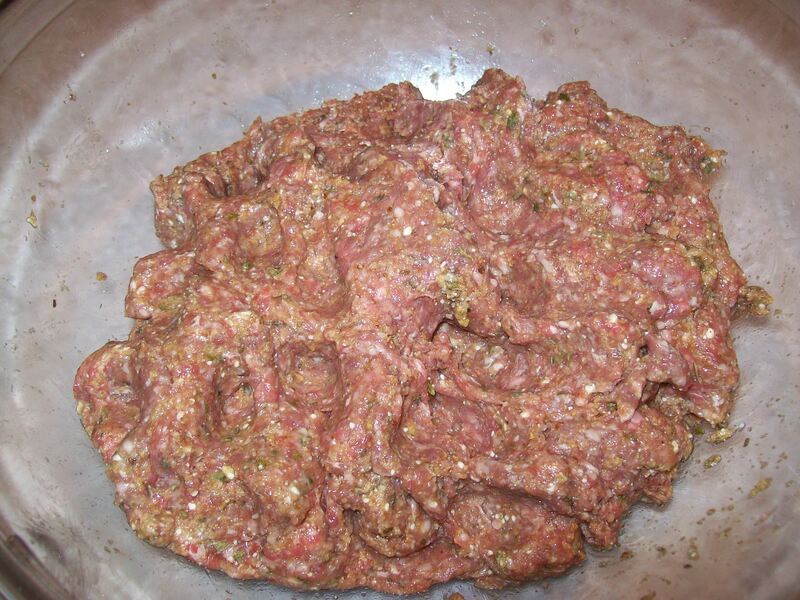 This entry was posted in Beef, Meat and tagged Black pepper, Bread crumbs, Garlic, Meatball, Olive oil, Onion. Bookmark the permalink.